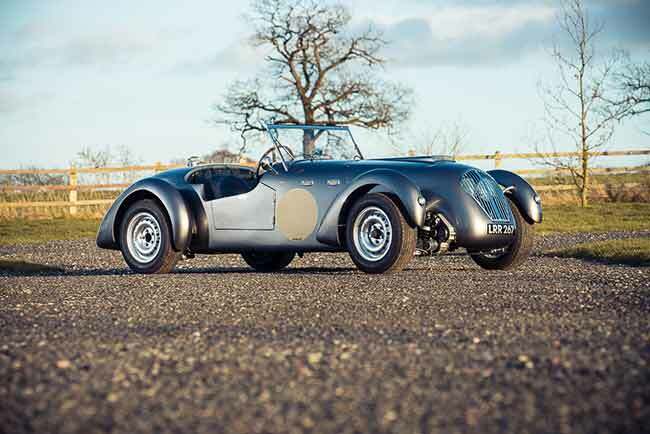 An incredibly rare 1950 Healey Silverstone sports car, one of just 105 ever built, will fittingly be offered for sale in Silverstone Auctions’ two-day sale at the Silverstone Classic on July 26th and 27th. This British sports car was hand built at the Donald Healey Motor Company factory in Warwick and was designed to be at home on the road or racetrack. Continuing his passion for offering good value British sports cars, Healey decided to make a high performance car that was under £1000, in response to the then Government’s decision to double the purchase tax on luxury cars over a grand. Powered by a 104 horsepower 2.5 litre Riley engine and mated to a four speed manual gearbox, the car proved highly competitive in a number of events, including a class win in the 1949 Alpine Rally driven by Donald Healey himself. This example, estimated at between £160,000 and £180,000, has a fascinating history. 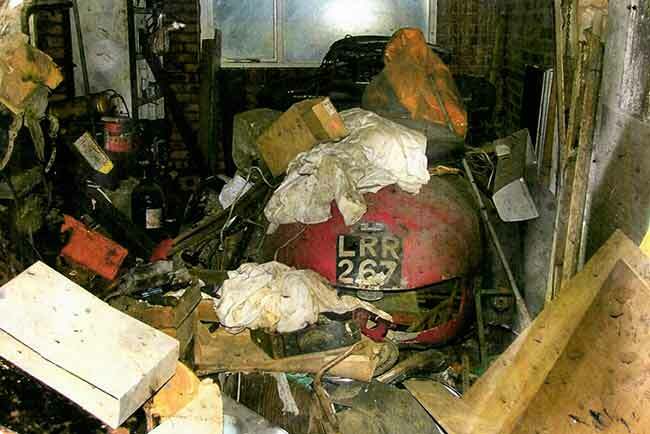 It was discovered lying dormant in a garage where it had been residing since the early 1980s. Over the past two years it has received a complete nut and bolt restoration by Hennessy Motorsport. The timing of the sale of “LLR 267” is perfectly timed to coincide with the marque’s 70th birthday celebrations next year. 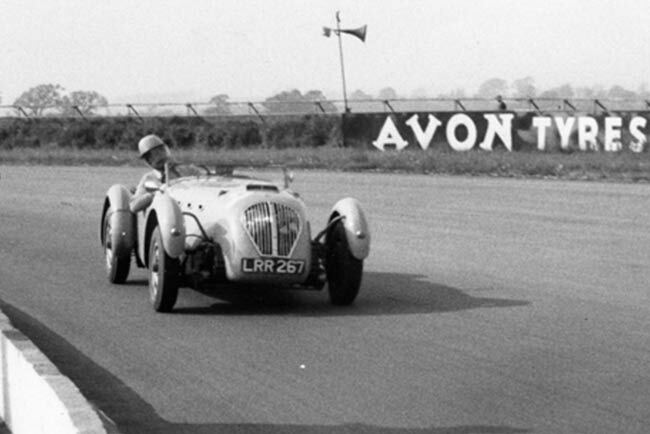 The second owner of the car was a Mr Joseph Cecil Winby, employed by a friend of the Healey family. He campaigned the car competitively for two years from 1955 and went on to be a highly respected racing driver.